Voice of Young Science (VoYS) is a dynamic network of more than 2000 early career researchers and scientists across science, engineering and medicine. VoYS members are committed to playing an active role in public discussions about science; they challenge pseudoscientific claims, tackle popular misconceptions around controversial issues and respond to misinformation in all kinds of media. These early career researchers don’t wait until later in their careers to stand up for science. VoYS members meet at one of four Standing up for Science media workshops organised each year by the charity Sense about Science. These workshops encourage the early career researchers to voice their opinions in public debates about science. During the full-day events, participants discuss science-related controversies in media reporting, and have the chance to hear directly from respected science journalists about how the media works, how to respond and comment, and what journalists want and expect from scientists. Inspired and engaged by the peers they meet during the events, VoYS members are empowered to do more to stand up for science and have launched many successful mythbusting and evidence hunting campaigns. They’ve published a detox dossier debunking common marketing claims associated with ‘detox’ products, written an open letter to the World Health Organisation, prompting several disease department directors to clarify that they do not condone the use of homeopathy to treat serious diseases and most recently launched a weather quiz to address misuse of weather terms. This latest project was initiated by meteorologists at the University of Reading and launched in January 2016 (see below sample). 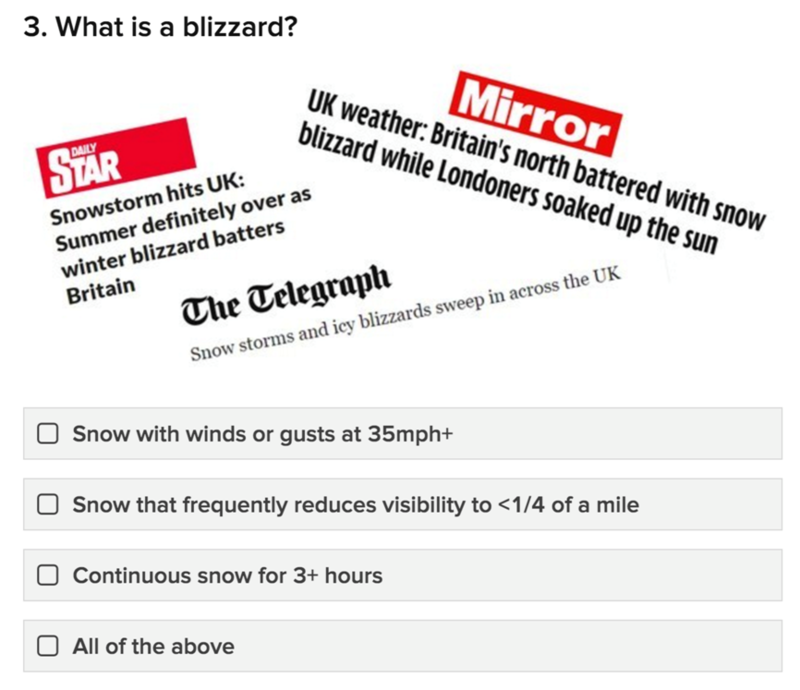 Frustrated by sensationalised stories and misleading use of meteorological terms, and concerned that this could undermine public trust in meteorology, they launched this quiz to challenge everyone to test their weather know-how and arm themselves with the facts to decipher the truth behind weather stories. The next media workshop is sponsored by the Department of Meteorology at the University of Reading and will take place in London on Friday 16 September – priority places are available for early career researchers at the University of Reading (PhD students, post-docs or first job equivalents).